This calibrated grey slate is available in lots of sizes. Use a single size or combine the sizes to make a patterned layout. Calibrated slate has the same riven finish as hand-split slate once installed, but as the product is machine cut, the thickness is guaranteed to be 10mm thick which means they are a dream to lay too. Grey Brazilian slate has a natural elegance, which can give a contemporary or rustic look to any environment, use as slate flooring, wall tiles or as part of a feature. They are perfect for any area of your home; kitchen, bathroom, dining room, or for use in your office or even externally as a paver in the garden. 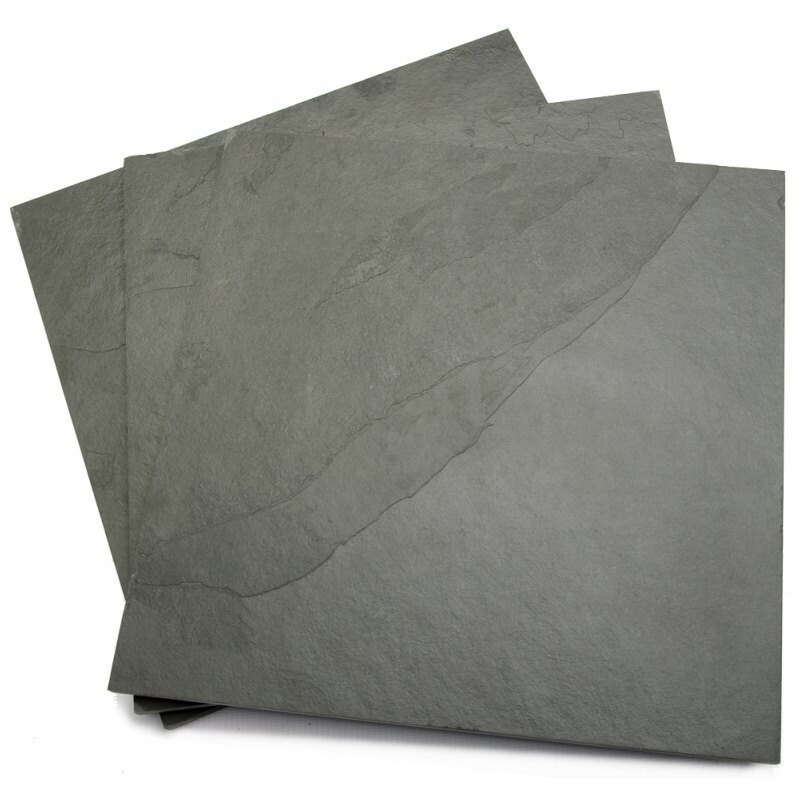 At Trade Price Tiles we pride ourselves on providing the best quality slate there is. This natural stone is a high density, low porosity material which is extremely hard-wearing in any environment, so make sure you choose well as this slate will last for years! I LOVE the tiles. The delivery driver was lovely and helped me bring them in 1 by 1. All the same size and depth as we discussed. I was unsure what tiles to buy and the advice and help from Amanda was amazing. Very professional and she certainly knows her stuff ! I will be using this company again and I will be recommending this company. Thank you again for all your help. I will be using you again and recommending you ???? We received a fast , friendly and reliable service from Trade Price Tiles and the tiles look great. Thank you.